Who is Avraham Nega Admasu? A 38-year-old father of three, material engineer, and community leader, Avraham Nega Admasu empowers Ethiopian youth in Israel to connect to their culture and to integrate into the broader Israeli community. Admasu is part of a garin—a Hebrew word that means “seed,” a collaborative community working together for the betterment of society, under the umbrella of the Friends by Nature. 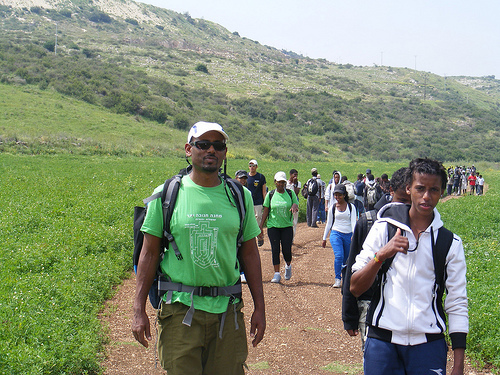 The nonprofit organization works to empower and educate the Ethiopian community in Israel. Committed to planting the seeds for a successful and vibrant Ethiopian community in the town of Rishon Letzion, the garin is one of 10 such communities dedicated to strengthening the Ethiopian community from within. Admasu’s path as a community leader is informed by his life story. He grew up among 11 siblings in Kabazit, a small village in northern Ethiopia. During his childhood, he tended livestock with his father and helped the women bring water from the nearby well. In 1984, his family sold their livestock and bribed the necessary local officials, enabling 52 family members to leave the country secretly and make the 12-day trip to the Sudanese border by foot. “A path led us to a steep mountain,” Admasu recalls, “which we struggled to descend. Many days into the journey, the group reached an area without water. The family found itself in the scorching hot sun with little shade; children and the elderly were starting to collapse from dehydration. In one of many miracles, Admasu’s older brother Efraim accidentally discovered a muddy spring when he saw a group of bees hovering above. Admasu was sent out to collect the water, and the group survived. Braving harsh conditions, bandits, and a shortage of food and water, they arrived at the border of Sudan, where the Red Cross welcomed them on the other side. The family spent close to a year in various squalid refugee camps in Sudan before they reached Gadarif, where a large concentration of Jews had settled. There, they acquired the necessary documentation, which enabled them to travel to the capital city of Khartoum. The family was then flown to Israel, where, with tears of joy, 12-year-old Admasu, sick and weakened from malaria, stepped off the plane and kissed the ground of Israel. Admasu went on to graduate high school and joined the IDF as a paratrooper. In 1991, as a young soldier, he was sent back to Ethiopia as part of Operation Solomon, to assist in airlifting 15,000 Ethiopian Jews to Israel and reuniting thousands of families, including his own. Today he dedicates his time outside of his occupation as an engineer to working with Ethiopian youth in his neighborhood. Weekly group activities, trips, and leadership building are just some of the many empowerment tools that serve to deepen the sense of identity and pride of the youth. In his role as coordinator of youth activities, Admasu feels that he is closing a circle. He anticipates that he can enable young Ethiopian-Israelis to find their inner strengths, as he did through his life experiences. His past helped shaped his present, and he hopes to use both to inspire the future of the Ethiopian youth in Israel. Dana Talmi is a Jewish educator with a passion for service learning. 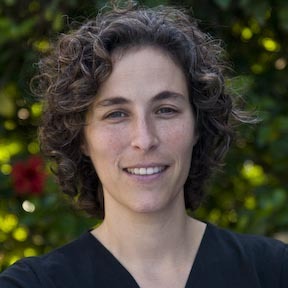 She is the director of Yahel – Israel Service Learning, an educational organization that runs service learning and social action programs in Israel. She is happy to be living in Zichron Ya’akov. This fall will see the launch of an exciting new program, the Yahel Social Change Program, a collaboration between Friends by Nature and Yahel– Israel Service Learning. This five month service learning experience will give 15 young adults the opportunity to live, volunteer, and learn alongside young adults from the local Ethiopian-Israeli community. This article was shared with the permission of the author and PresenTense magazine. Like what you’re reading? Check out posts from other inspirations in the Jewish community. Like what you are reading? Please subscribe by e-mail or feed reader by clicking the sidebar icons and join me at The New Jew: Microblog–– an experiment in social media (http://tinyurl.com/TheNewJew). This entry was posted on Thursday, July 8th, 2010 at 9:09 pm and is filed under Guest Author, Life in Israel: What You Need To Know, Social Responsibility, Volunteering in Israel. You can follow any responses to this entry through the RSS 2.0 feed. You can leave a response, or trackback from your own site. Share this link on Twitter or otherwise using its permanent shortcut: http://tinyurl.com/tnjexod.